The first Saturday of 888poker’s premier online poker series, XL Eclipse, offered players a shot at over $300,000 in tournament guarantees. Five scheduled tournaments got underway on an action-packed Sunday that paid out some of the biggest prizes thus far in the series. 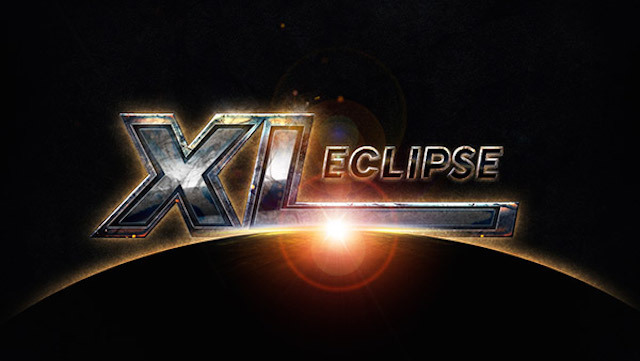 Here are all the highlights and headlines from XL Eclipse Day Four. A pair of tournaments with six-figure guarantees meant that there were going to be plenty of big-time paydays to be earned. Sweden’s ‘cuadrado12’ took home the largest prize of the day when he came out on top of Sunday’s largest XL Eclipse event, Event #10: $100,000 Tune Up. He earned $22,169.70, one of six five-figure scores given out on Sunday and it helped propel him to over $3 million in lifetime earnings. Mexico’s ’NoMamesWeyyy’ also earned a healthy payday, finished as the runner-up and adding another $16,246.05 to his bankroll. The second largest tournament was Event #9: $100,000 Mega Deep, won by another PocketFiver, ‘CalmRevolver’. He defeated the 378 players that helped generate a guarantee-topping $112,400 prize pool and took home $21,637 for the victory. Uruguay’s ‘buitre180’ finished the tournament in second place for just over $16,000. The large guarantees on Sunday had plenty of top-ranked players vying for a piece of the action. Russian pro Arsenii ‘josef_shevik’ Karmatskiy managed to make the final table of Event #9, bowing out in fifth place for $5,901. He wasn’t the only well-known name in the field who made the money as Swedish duo ‘Inho’, and Andres ‘r4ndomr4gs’ Berggren managed to make the money. As did perennial top-10 ranked Ukranian, Roman ‘Romeopro’ Romanovsky. In Event #10, #29-ranked Jerry ‘perrymejsen’ Odeen and XL Eclipse champion Feargus ‘EZ.PZ’ Murphy from the UK both managed to ladder once they made the money. With five final tables on Sunday, that meant there was plenty of opportunity of for PocketFivers to take their fair share of the prize pools. Joining ’cuadrado12’ at the final table of Event #10 was Finland’s ‘Korpisoturi2’ who finished in fifth place and earned a career-high cash of $6,334.20. In addition to Event #9 champion ‘AloofRevolver’ and Arsenii ‘josef_shevik’ Karmatskiy, Giovanni ‘gioriz’ Rizzo from Slovenia finished in fourth place for $8,711. Busting in ninth place was Paris’ ‘Ronaldo4112’ for $1,967. In Event #13: $25,000 Late Tune Up Russia’s ‘icf043’ took the bronze for $2,640.75 and right behind him Brazil’s ‘BlacKK_DucKK’ fell in fourth for $2,012. XL Eclipse takes a bit of a breather on Monday with a pair of tournaments and $45,000 in guarantees. One of the series least expensive events, Event #15: $15,000 Mini Rebuy & Add-On where the barrier for entry is only $5.